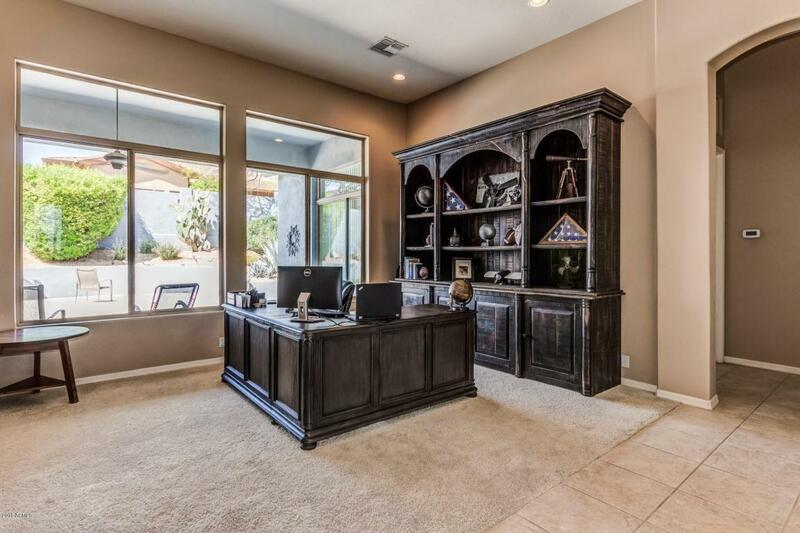 Very well maintained 3 bed (with rare) 3 full bath and 3 car garage home on an interior lot in Desert Crown near Pinnacle Peak and Troon Mtn. Surrounded by mountain bike and hiking trails and big mountain views. 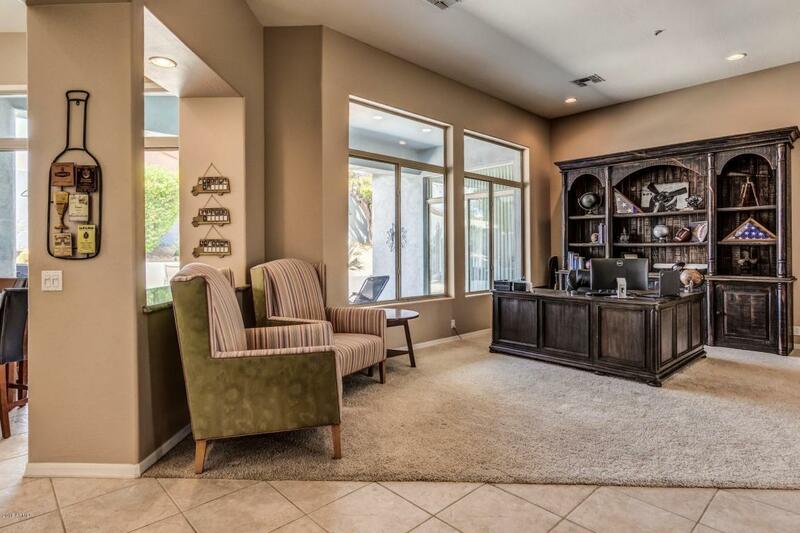 Bright open spacious split floor plan with two roomy Master Suites. Recently upgraded kitchen with granite counters, refinished cabinetry, double oven, designer hardware and composite granite sink. 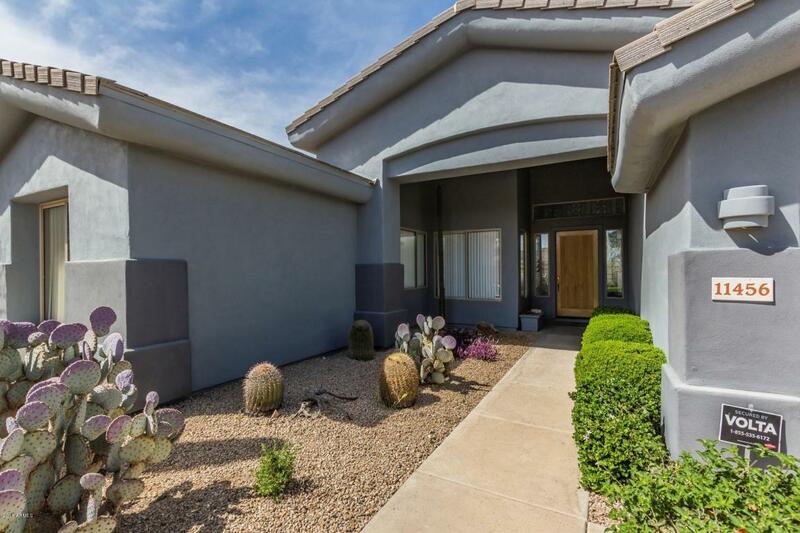 True split floor plan has the main master with a private entrance and remodeled bath including granite, new fixtures, vessel sinks and frameless glass shower. Large secluded private covered patio overlooking inviting sparkling heated pool/spa and built in barbecue perfect for entertaining your friends and family. 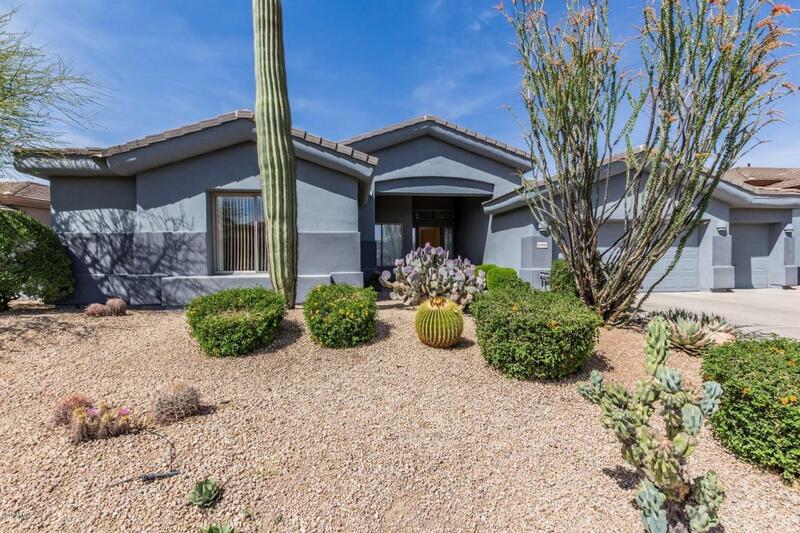 Near Troon North Golf Club, dining, biking and hiking trails. Listing courtesy of IFR Estate Brokers.